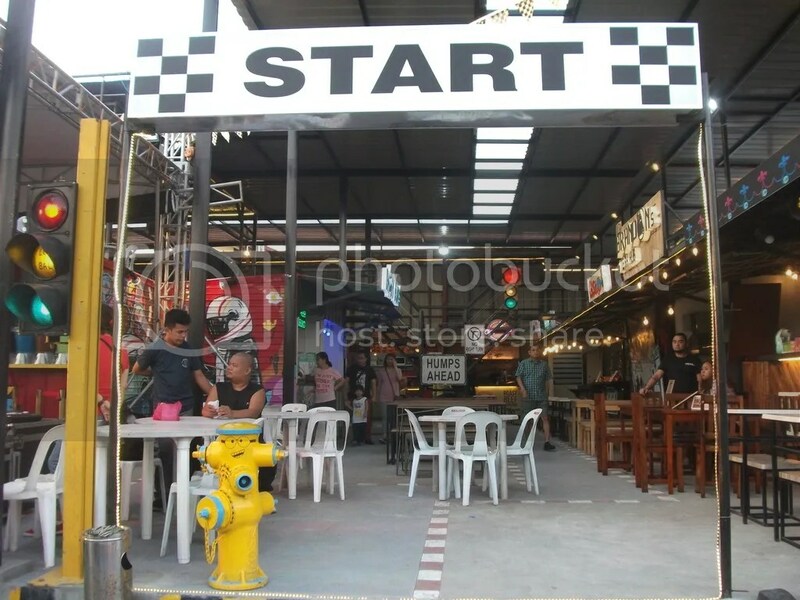 Food Racing and enjoyable family meal at Pit Stop Food Park . 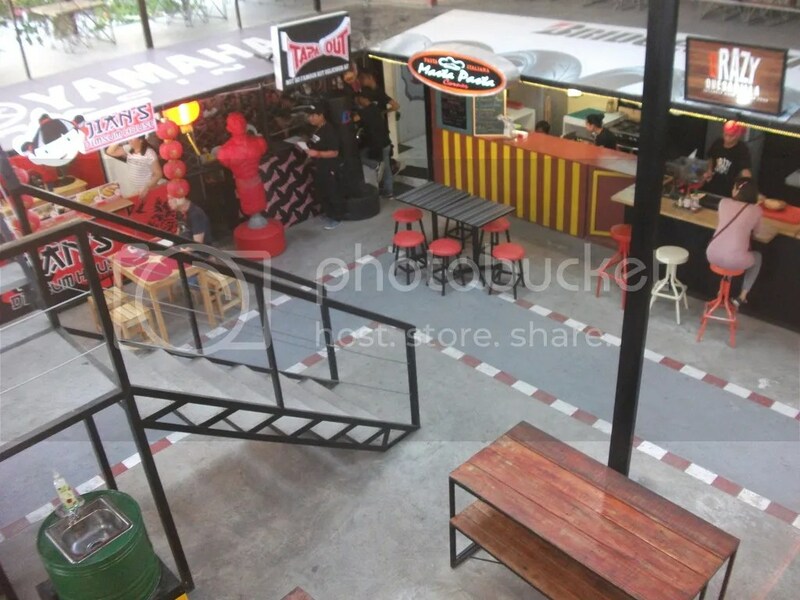 One will surely love going around and enjoy the race track inspired food park. 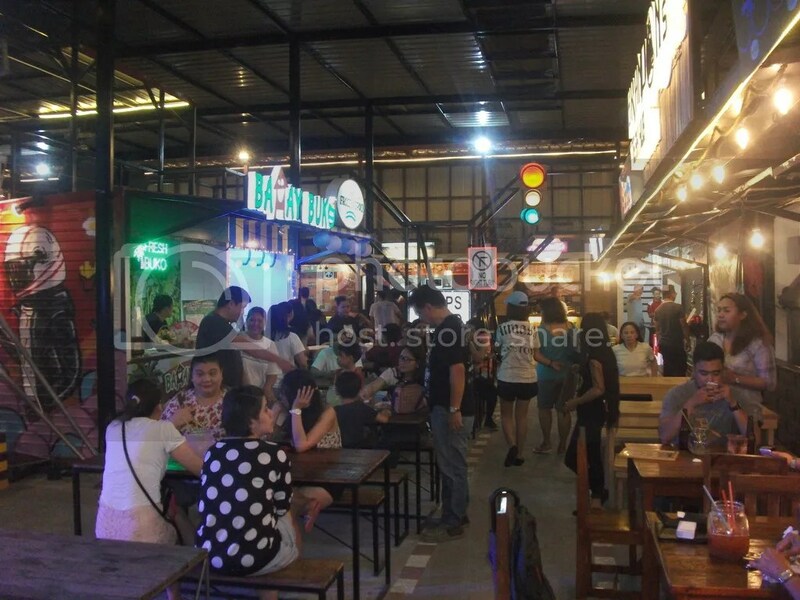 The food park had their soft opening about year or so and is slowly becoming a food haven for residents of Quezon City, Fairview , Marikina and adjacent places. 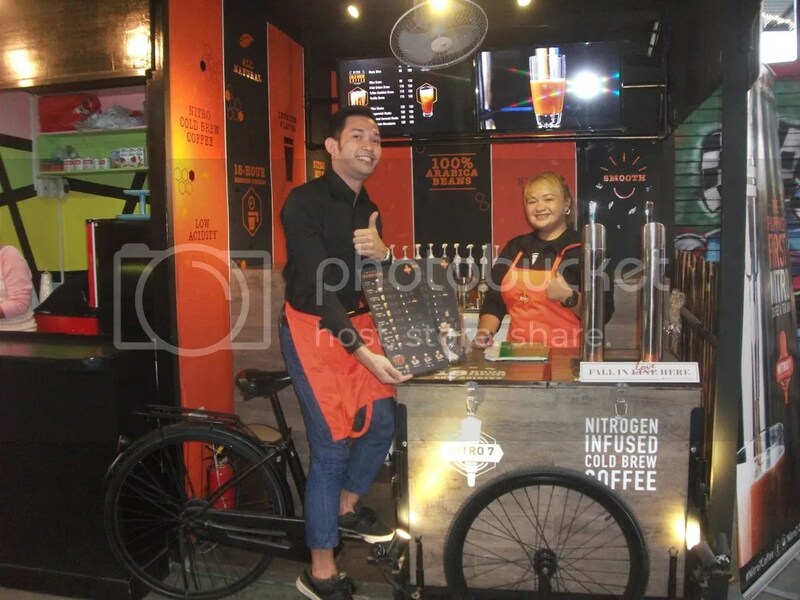 There are over 2 dozen food stalls offering different menus not only locally but those found in other parts of the world. The area can accommodate between 280 to 300 people at any given time and there is also an ample parking space beside the food park. 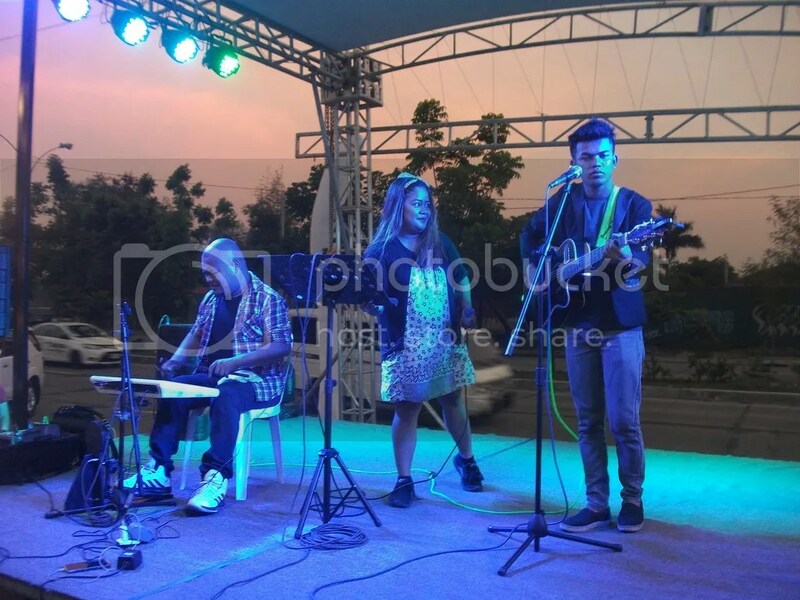 There are also live bands and performances during weekends. Some of the food stalls are already open by 4:00 pm. Tokyo Tempura stall offers interesting eat all you can shrimp tempura promo for just Php 199.00 with additional rice value meal to avail of the promo. 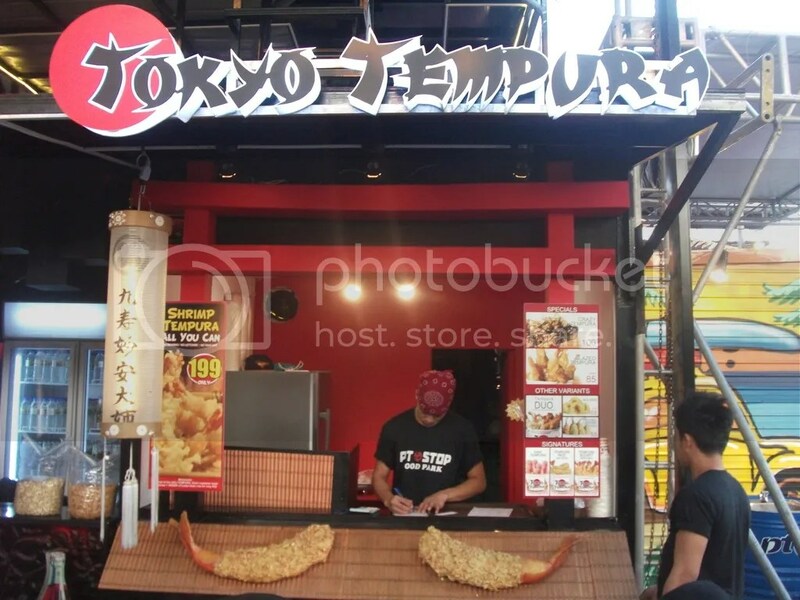 The stall also offer fried chili tempura for those who wanted to try a more spicy flavored tempura. 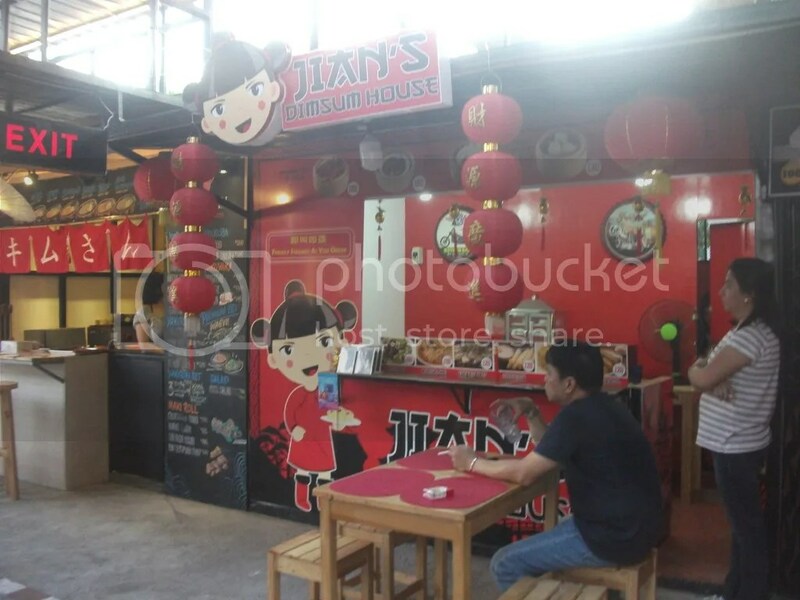 The exterior of the stall is rustic and one is not intimidated to ask for the menu or their signature dishes. They are posted visibly handwritten in the blackboard . 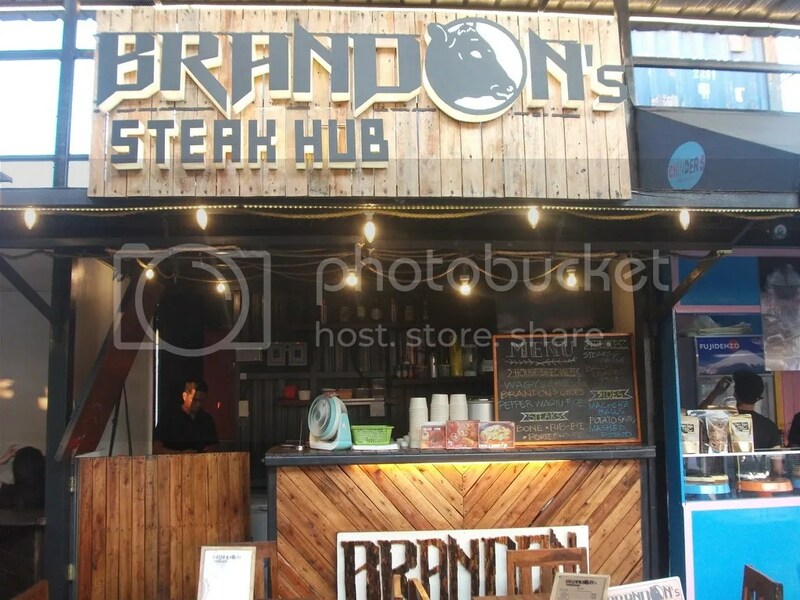 Brandon’s Steak Hub started their operation about a year or so with common friends who likes Italian and American dishes. 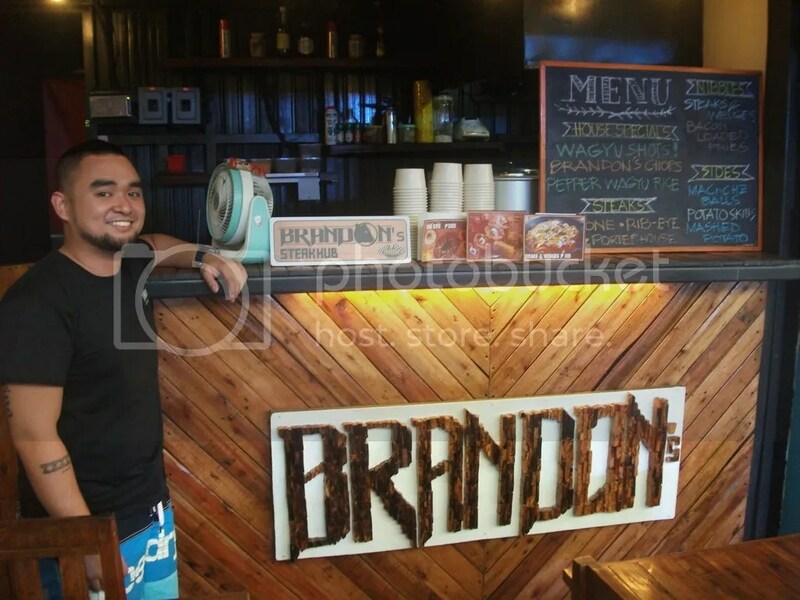 Almost all of the proprietors are from Quezon City area, hence they choose the food park for their initial endeavor. 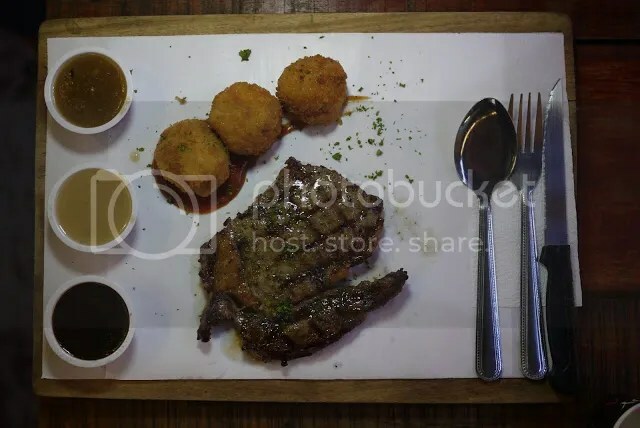 Rib’s Eye Steak cost Php 289 , There are three kinds of sauces Php 10.00 per additional order ( wild mushroom sauce, brandon’s signature sauce and black pepper sauce ) . 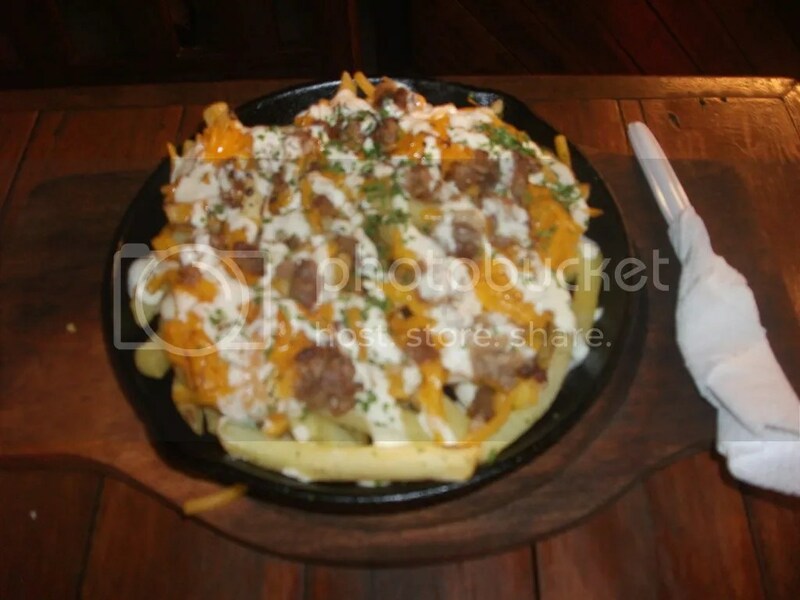 For just additional Php 55.00, one can add Maki Cheese Balls , Potato skin for side dishes. We bought the in-house ice tea blend which cost Php 70 small jar and Php 140 for large jar. Ideal between 3 to 4 people sharing. 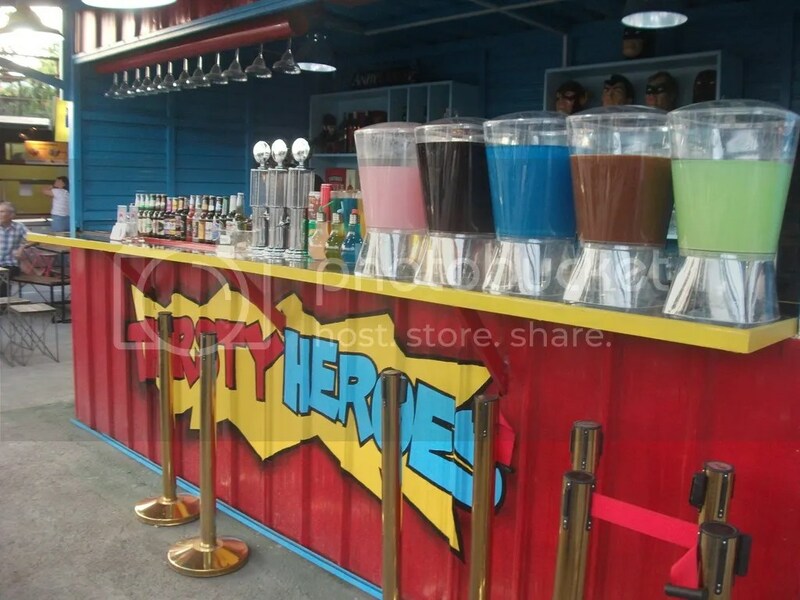 There are also soft drinks and beers that are available. 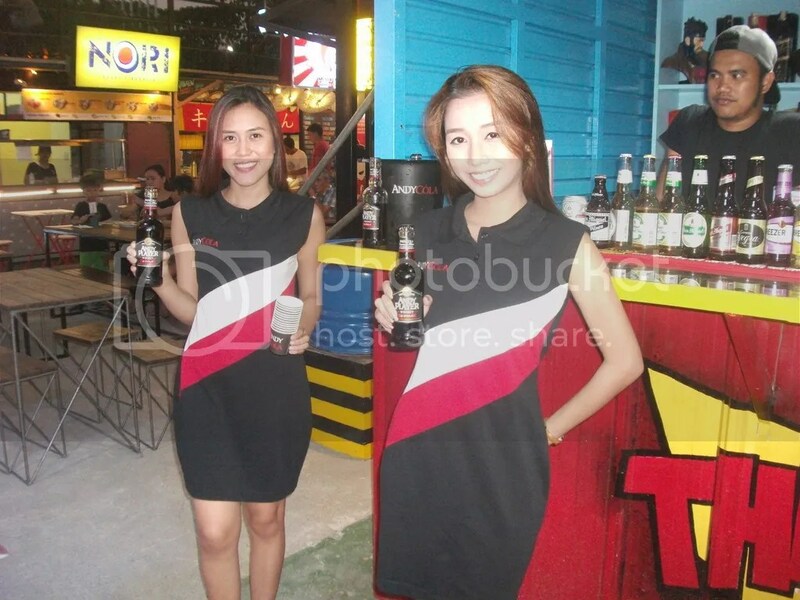 Andy Cola is a combination of whiskey and cola drink which was popular in the local market way back in the 1980’s . This drink is making a big comeback in the local liquor market and luckily there was a sample taste . 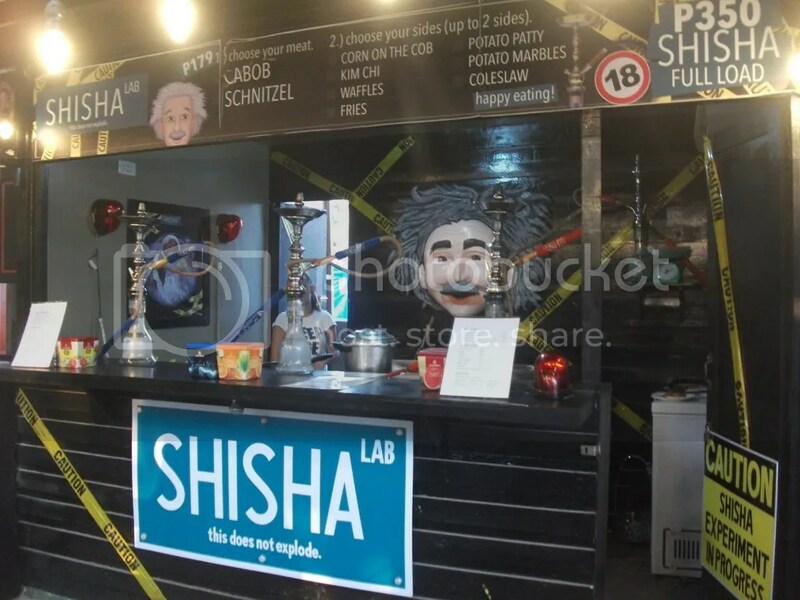 Shisha Bar is ideal for those who wanted to try shisha which starts at Php 350 full load. Another eye catchy name for a burger stall is Son’s of Burger or SOB . 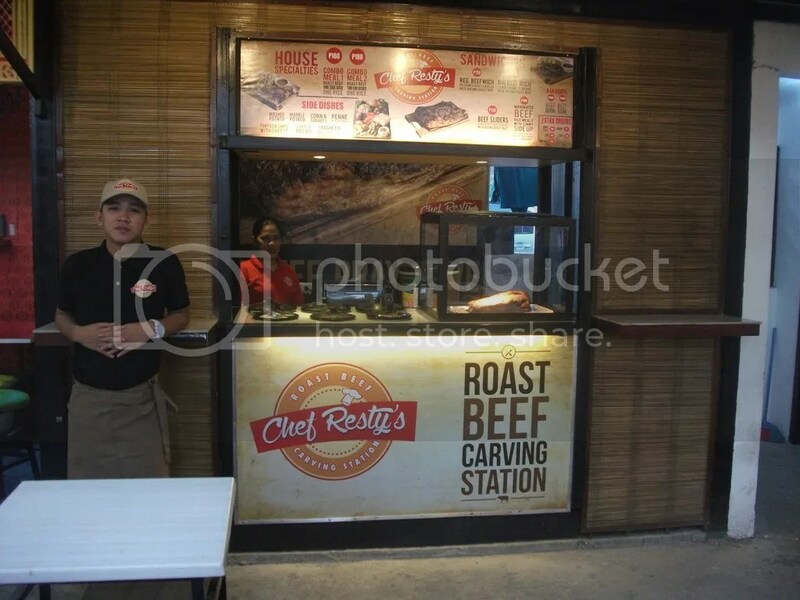 This burger stall had their branch in Antipolo, Rizal province and this is their second stall . The specialty are burger meals, kickin wings, frinkin fries and potato cheese balls. 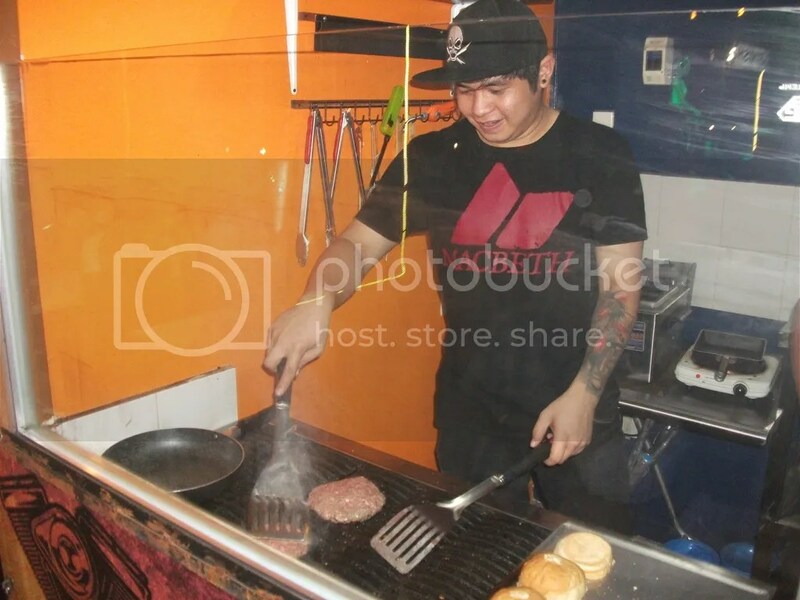 We also got a chance to talk with the proprietor and we saw how the burger patties are grilled upfront . The hamburger and quarter pounder is even better than some commercially available ones. 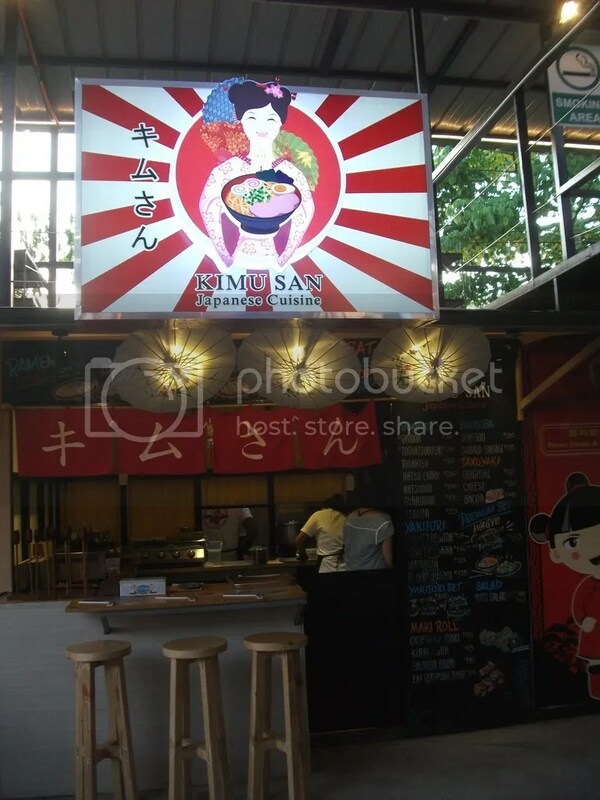 This stall offers Ramen dishes, Yakitori, Donburi , Maki roll, Takoyaki in a traditional Japanese stall setting. 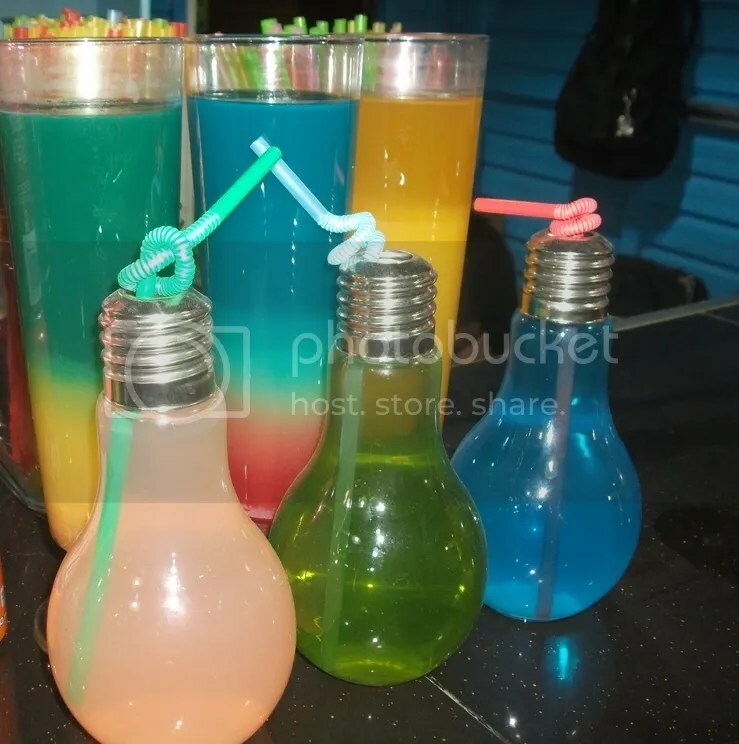 Some of the food stalls are also open to catering to some events and they would be glad if one could personally visit them . 1.) There are jeepneys which ply the Congressional via Luzon Avenue and Munoz market . 2.) Electric jeepneys from SM North to Katipunan via Congressional Avenue. 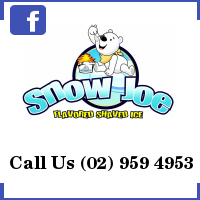 Note: Prices quoted are subject to change without prior notice from the food stalls. 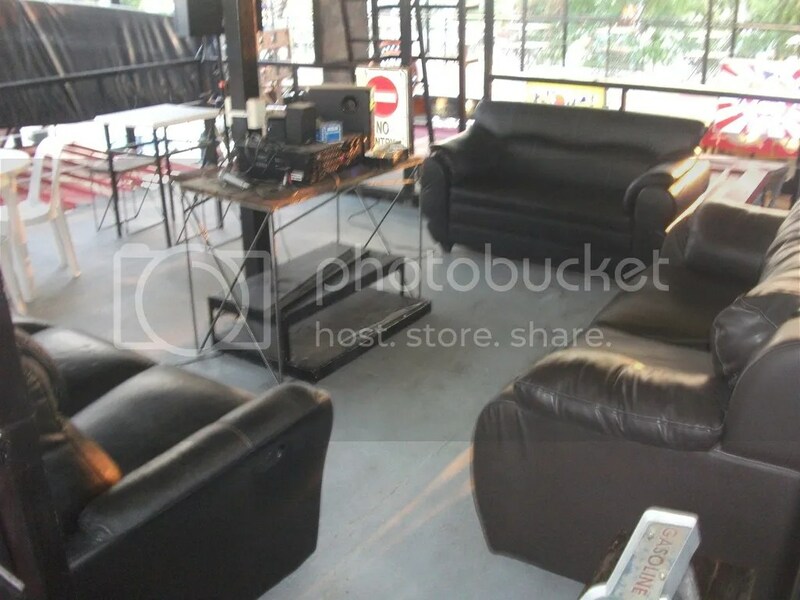 The dishes posted in this site were ordered by the author and companion. 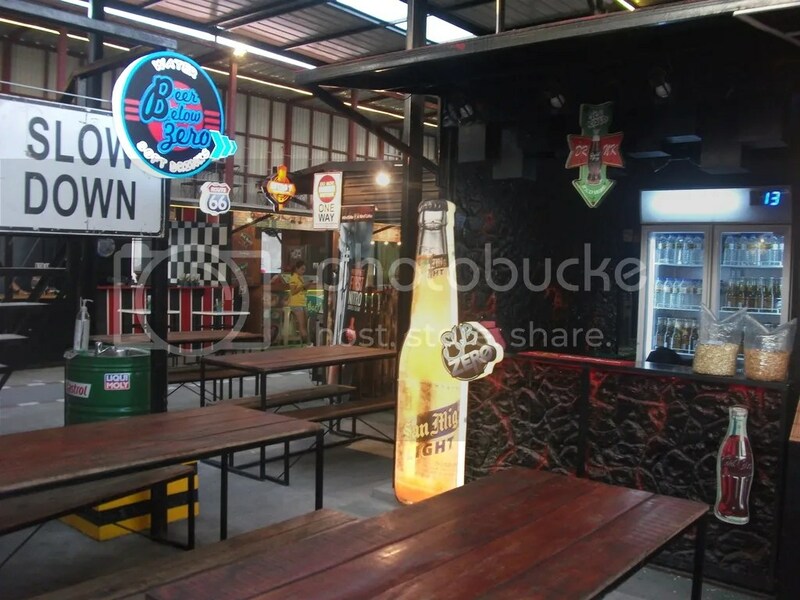 The Food park is near Luzon avenue and Tierra Pura subdivision entrance.